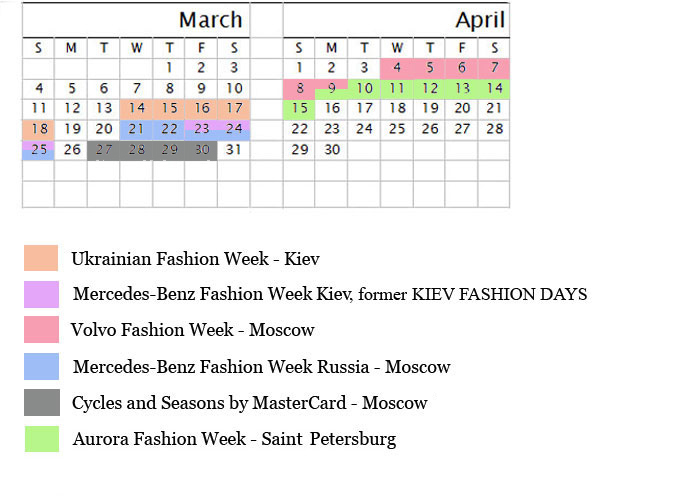 As all dates have been announced, I’m happy to present you this F/W 2012-13 fashion week calendar for Russia and Ukraine. I can’t wait to see all the beauty! For more information about each fashion week visit their website, all URLs can be found on the Links page.